Tambola game is as exciting and evergreen as the concept of partying itself. This pack contains all essential tickets, rules and tools for your guests. Filling a complete excitement in your party guest by Tambola is a successful and evergreen choice. 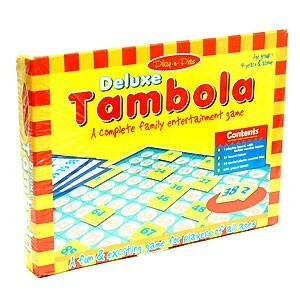 The pack of Tambola contains all the essential essential tickets, rules and tools, all what is required to begin with the game with your guest. For the winner is awarded with the gifts, well there is no gift included in the box. The person who is organising the party arrange the gifts for the winning persons who successfully completes Corners, First Five, First Row, Second Row, All three rows and Full House. And this game is for ages from 8 to Adult and a game for minimum 2 to any number of Players. 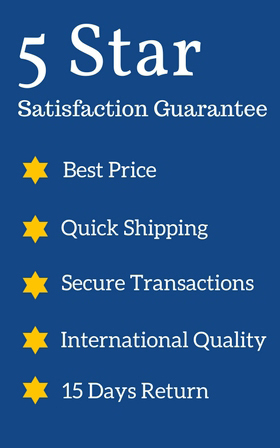 So why make it late, order now and integrate unlimited fun to your parties.